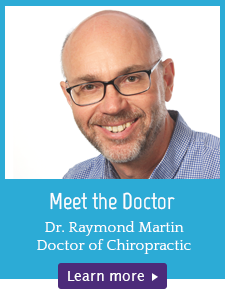 Ipswich Chiropractor, Dr Ray Martin (Doctor of Chiropractic) of Kesgrave Chiropractic Clinic offers his patients the very best in traditional chiropractic care. We believe in creating a positive shift towards natural healthcare whilst working with the primary principles of chiropractic, with the aim to educate the public on what health is and what it is not, in relation to the spine and nervous system. Dr Martin (Chiropractor) has been delivering quality chiropractic care to the community since 1998. The clinic began in partnership with Dr Martins (Chiropractor) wife, Amanda who is presently taking a career break to look after their children. Our clinic has been a welcome fixture on the corner of Dobbs Lane and Main Road since then. We have the latest digital x-ray equipment. If x-rays are clinically indicated these can be performed during you initial visit. If need be we can electronically send your images to our consultant radiologist. We aim to have all our x-ray images ready for viewing within twenty four hours. Call now to book a new patient consultation. Call 01473 624345 today! 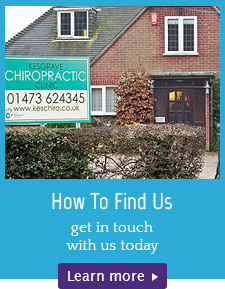 Ipswich Chiropractor, also serving Kesgrave & Woodbridge, as well as the surrounding Suffolk County communities. All aspects have been excellent so far and inspire confidence that you are in expert hands. 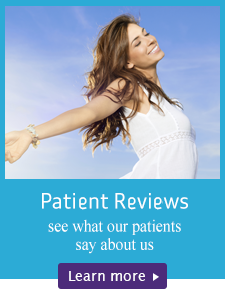 The whole experience was one of reassurance and I felt confident that I could be helped with my pain. Thank you for helping me improving my health! The first visit after my x-rays were taken help me understand more of what was going on in my body. Every detail was explained very clearly so I could understand that I needed the treatment and that it was going to take a while to put right. Thank you. After experiencing care via the NHS and Ipswich hospital it was so nice to be made to feel like a patient and not just an NHS number.